Executive Order Spy provides everything you need to monitor and receive telemetry information in your business or office right now. 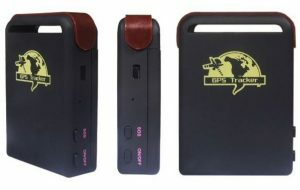 Setup is fast/easy, and EOSPY supports more than 90 GPS communication protocols and more than 800 models of GPS tracking devices from popular GPS vendors. Make your life simpler and more informed with EOSPY – Executive Order Sensor Processor sYstem. By combining GPS and satellite technologies in one compact design, the GPS tracking redefines the way you think about asset tracking. Locate and Manage your Assets easily in Real-Time. Easy to Install – Installation of asset trackers are quite easy. No special skills needed. Configure the devices, place it on your assets and you are ready to go. Live Control – With asset trackers you can manage and protect your important assets. With daily location reports you always know where your assets are, and the motion sensor alarm can protect your assets from thieves. Satellite or cellular, battery or asset powered, internationally intrinsically-safe or industrial ultra-low cost, our asset tracking devices are the most rugged, reliable and safe devices available on the market.